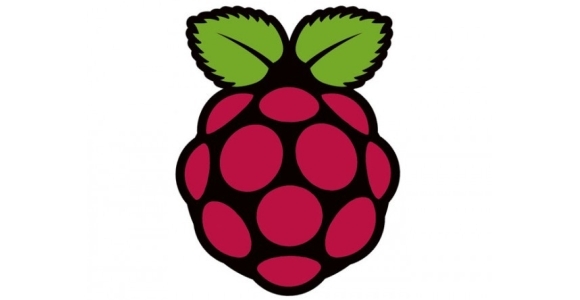 29th February 2012 wasn’t just another extra day in the leap year’s calendar; it also marked the launch of the Raspberry Pi. The single-board computer has been developed by the Raspberry Pi Foundation – a charity founded to promote basic computer science education. It marks a revolution in science teaching as it can easily be adapted to create a number of diverse projects, teaching students valuable computing skills. This mini-PC uses a Broadcom BCM2835 system on a chip (SoC), including a 700 MHz ARM1176JZF-S processor and comes in two models both having 256 megabytes of RAM: the Model A which costs $25 and Model B which costs $35. Model B has two USB ports and an Ethernet port while Model A only offers a single USB port. The Raspberry Pi uses a Linux-based kernel operating system, Debian, by default. However, Iceweasel, Calligra Suite, and Python are being planned to be incorporated into the device. Video apps use OpenMax, 3D apps use OpenGL ES, while 2D apps use Open VG. With more and more inventors creating Raspberry Pi projects the number of software and operating systems are set to increase. What makes it stand out from the rest of the commercially-available computers? Its physical area measures 3.370 in x 2.125 in and weighs only 45g (1.6oz) – similar to the size of a credit card and just as heavy as nine nickels. Compared to high-end, overpriced computers, the Raspberry Pi won’t murder your wallets with its price just as high as $35. From the achievable to the most ambitious, it’s set to redefine itself application after application. Right now, two projects are paving the way for this little device to transform into a media appliance – Raspbmc and OpenELEC – both using XBMC, an application for media playing. The former requires simple installation and comes with Windows installer so it pretty much self-assembles while OpenELEC requires Linux OS to run XBMC. Another is the Android Transporter, created by Embedded Software Research (ESR) Labs. Now, real-time content-sharing such as streaming videos, presentation viewing, and gaming consoles could be done with an Android device, a wireless dongle and a Raspberry Pi. With the integration of a Zigbee home automation server into this single-board computer, turning the lights off or opening a door is just a few clicks away on your smart phone. Even when you’re in a meeting, or in the park, or anywhere around the globe, your home’s security will never be at risk with the additional home security features bundled into the program. Practically, this application requires a Python-controlled microcontroller, a coffee machine and an SD card. Using the Raspberry Pi, pyMCU and Python modules for the software and some additional cables, the perfect brew could be with you at the touch of a button. The guys from the Raspberry Pi Foundation intend to be at the forefront of teaching basic computer skills to school-aged kids in programming and computing using the Raspberry Pi. Considering that it’s small enough to fit in your pocket and consists of a bare chip of electronic components and ports, students can now see what’s behind the plastic casing of their PCs. Mixing and matching of software is also possible since the computer runs on an open-source software so they get to know the underlying codes behind them. It’s cheap, it’s handy, and it’s limitless. These are the reasons why this computer is a great learning device for children. In a world where everything has shrunk in size but maintained and even grew in functionality, all eyes are set on what’s next in line when it comes to technological innovations. Louisa Logan is a lover of computer engineering and she was one of the first to get her hands on a sought after Raspberry Pi computer from Premier Farnell Element 14 last March.